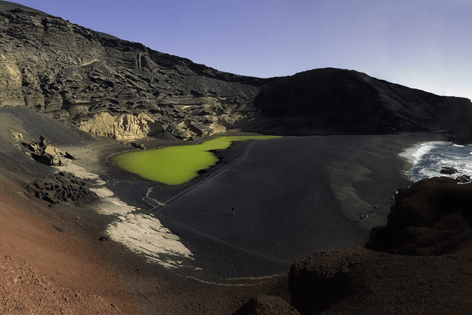 This tour is great for families with kids, where you island hop from Fuerteventura to Lanzarote to the famous Timanfaya National Park, enjoy the geothermal experiments and more. There is something for everyone on this tour. Island hop from Fuerteventura to Lanzarote where you will enjoy the beautiful white sandy beaches, bars, shops and restaurants of Playa Blanca and the Timanfaya fire mountains. Book online now and go on the unique Discover Lanzarote. Lanzarote is a beautiful island very close of Fuerteventura. The Discover Lanzarote is one of the best excursions where you can experience both the Canary Islands in just one holiday. From Fuerteventura you sail across the clear blue Atlantic Ocean to the beautiful resort of Playa Blanca in Lanzarote. Here you are free to venture into the cobbled streets and white painted buildings with shops, bars and restaurants. 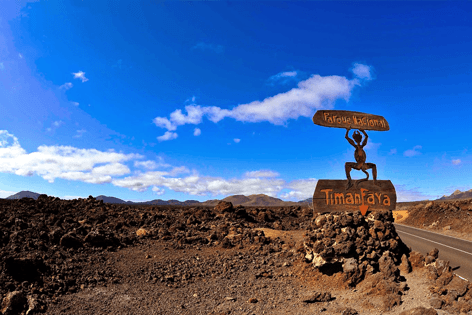 Later we head in an air conditioned bus to the famous Timanfaya National Park also known as the ‘fire mountains’ taking in the volcanic landscapes as if you are on mars. You will be shown some amazing demonstrations and geothermal experiments with the volcano which will blow you away like cooking food over the volcano’s active natural oven and more. You will go on a volcano trail tour from the main centre of the volcanic eruptions to the volcanic caves formed from where the lava flowed. Wine tasting in La Geria. 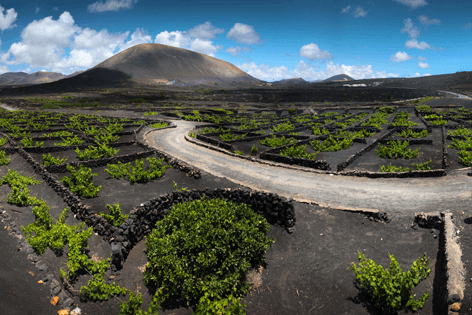 See how the wine is made, how the grapes are grown in the volcanic ash giving the wine a very unique taste. Enjoy your visit to a wine cellar and Bodega where you can sample and purchase the wine to enjoy at home. Visit the Aloe Vera museum and discover the beneficial health effects of this amazing plant. Sample the many cosmetic products, food and drink. 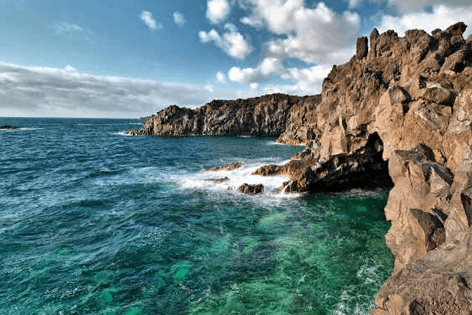 After this amazing volcanic tour, you head back to Playa Blanca. 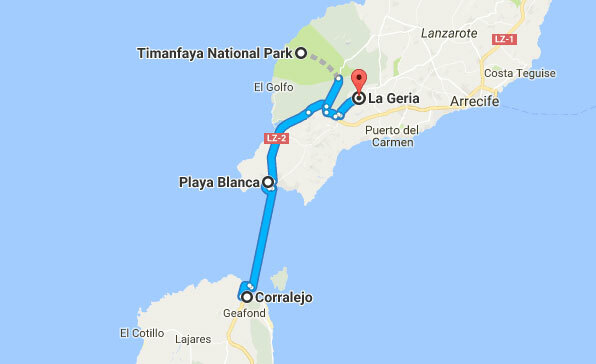 You can choose to look around the town or sit and relax in the many bars and restaurants and be ready in time to sail back to Fuerteventura. Bring a jacket/coat depending on the season, it might become little cold during the evenings. Get your Cameras and don’t forget to charge them well and get some spare batteries along. Listen very carefully for the time structures and ferry times given by the guide in both Fuerteventura and Lanzarote, don’t forget to set the local time. If you’re not sure about any of the instructions please ask again. In just one price you get to see two Canary islands, Fuerteventura and Lanzarote. 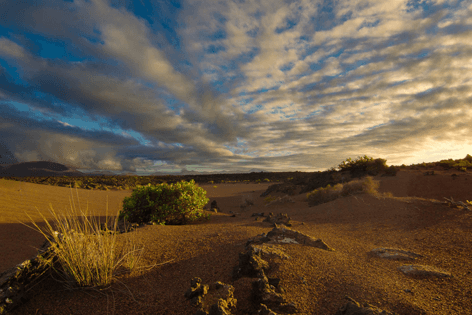 The Discover Lanzarote is one of the best cost-effective excursions to visit from Fuerteventura. Book online now to save seats for you and your family.